Level 1: Lessons 1-25. Want to learn German? Take the first step with Introduction to German. 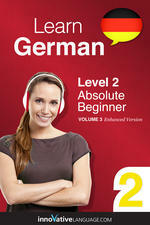 Learn and speak over 700+ German phrases with this jam-packed iBook. Perfect for Beginners and Travelers alike! Friendly start to German made just for kids. Learn 274 practical words through colorful scenarios. Master 101 of the most frequently used German vocabulary words!